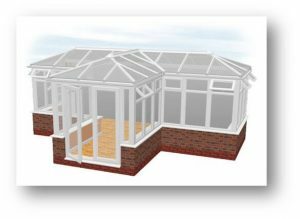 It could be that you are experiencing a few unexpected ‘side effects’ from your conservatory. Primarily these issues could be caused by the amount of glass in the roof. If so, what are your options? Noise from rain, heat build-up from direct sunlight & condensation in cold weather can all be symptoms that you will experience from a glass roof. You could fit blinds to the panels and that could cut out some discomfort caused by direct sunlight, but it won’t reduce the noise from rain or stop radiant heat building up within the conservatory. One solution you could look at would be to get a cost effective replacement conservatory roof, as there are many specialist companies who can do the work in a very short space of time and at a reasonable cost – in this way, you could enjoy your room every day of the year, no matter what the great British weather is doing outside.